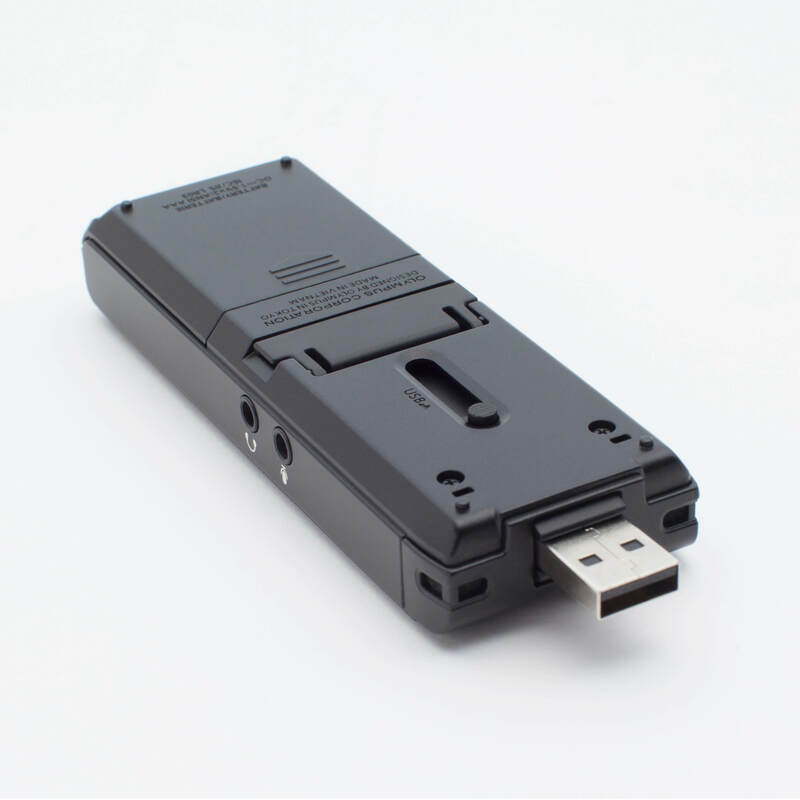 The WS-853 entry level digital voice recorder is designed for users who want an easy-to-operate device to record small meetings such as business meetings or lectures, with minimum fuss and bother. 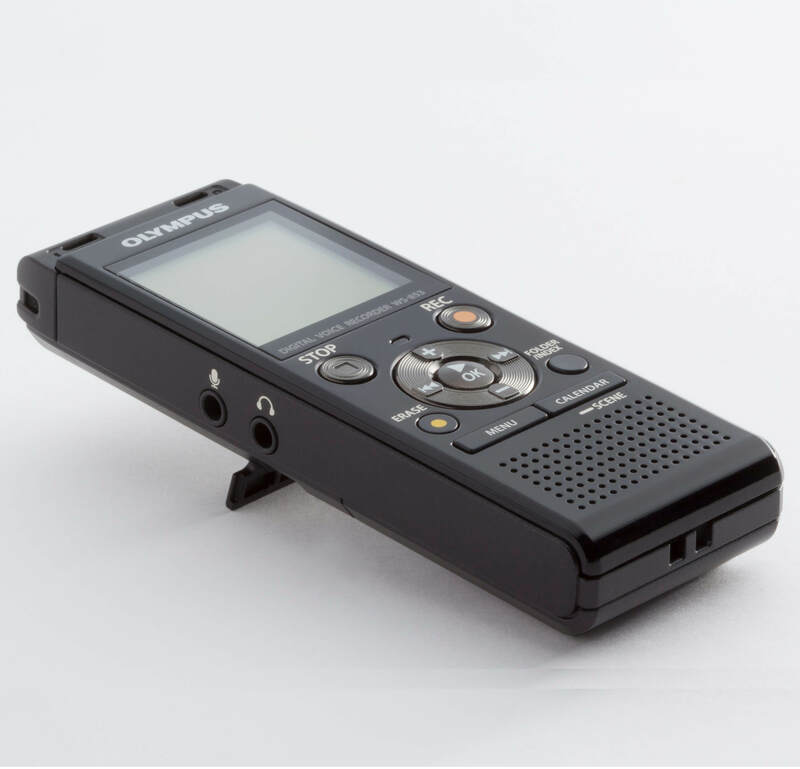 Intelligent Auto Mode – let the recorder do the adjusting for you – this mode makes it easier to capture clear recordings by automatically adapting the microphone’s sensitivity according to the recording environment and the volume of the speaker. Simple Mode – perfect for beginners! Simple Mode only shows the necessary information needed to “drive” the recorder, displaying the information in a large font and via key functions shown in the Menu. 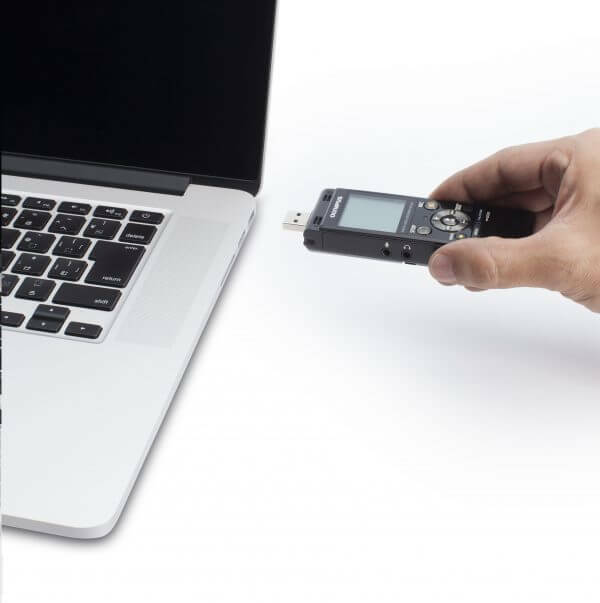 Once you’ve performed the initial setup and learnt how to “drive” the recorder, switch the recorder setting to Normal Mode. Normal Mode enables you to access more detailed information and settings. 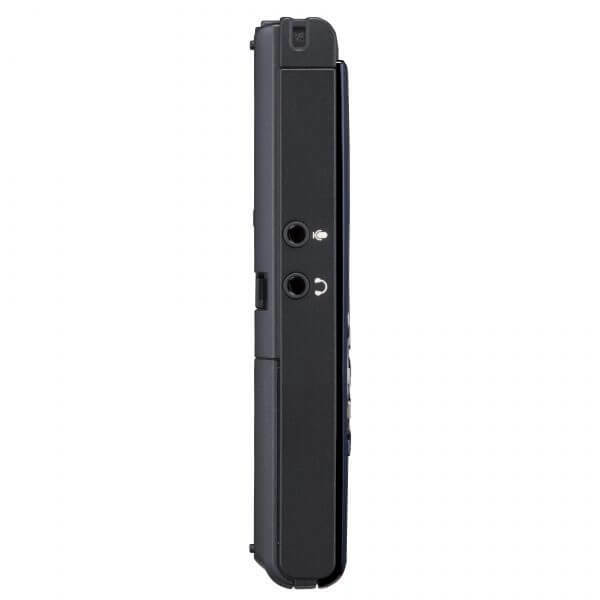 True Stereo Microphone System – capture that stereo feeling every time. Two low-noise directional stereo microphones with a 90 degree layout are perfectly positioned at the top of the device, enabling you to record even the smallest details of your meeting. Direct PC Connection – Save data easily and conveniently with the built-in USB connector – Use it like a USB stick! 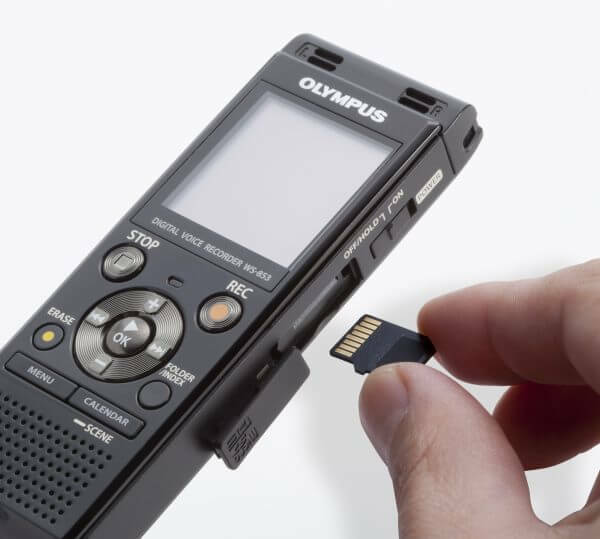 With up to 8GB of memory, you’ll be hard pressed to find a more compact, inexpensive, and versatile recorder, which can also act as a storage device. Click here to download the WS-853 manual. 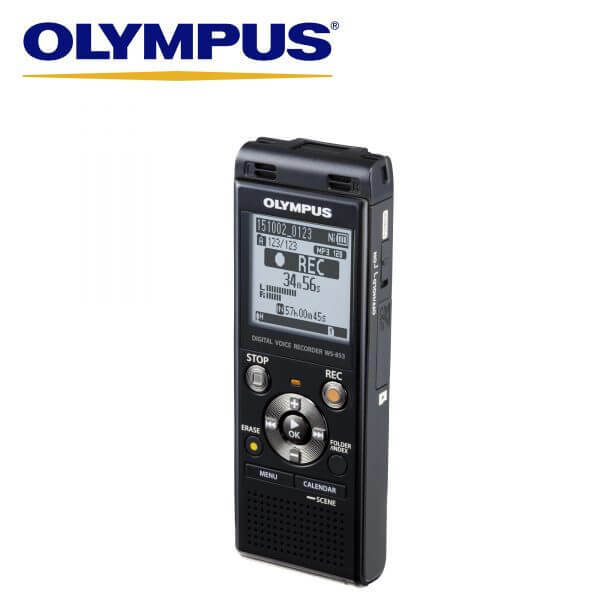 The Olympus WS-853 Digital Voice Recorder is easy to use and comes with 8GB of storage.